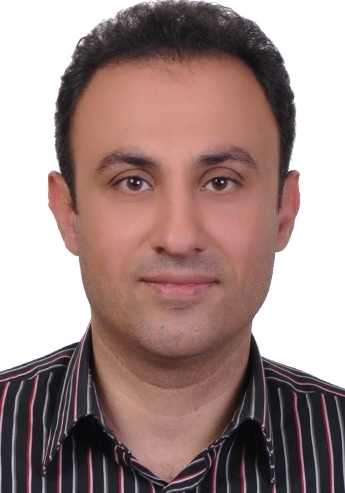 I am an associate professor in the School of Pharmacy at Mashhad University of Medical Sciences (MUMS), Iran. I received my Pharm D in 1999 and PhD in Pharmaceutical Sciences in 2006 at Mashhad University of Medical Sciences (MUMS), Iran. I undertook a six-month scholarship in 2005 awarded by the Ministry of Health and Medical Education of Iran in the School of Pharmacy at the University of Queensland, Australiain the field of active targeting of antigens to dendritic cells via using immunoliposomes. I also had a sabbatical in Prof. Leaf Huang’s Lab at University of North Carolina at Chapel Hill (UNC), USA in 2014 in the field of tumor microenvironment remodeling using lipid-based nanoparticles. I am working on formulation, characterization and immune response evaluation of lipid based nanoparticles particularly liposomes as vaccine and/or drug delivery systems for different antigens/drugs in vitro and in vivo. My research interest is formulation and in vivo evaluation of liposomal vaccine/drug delivery systems, protein/peptide formulations, and development of lipid based nanoparticles as novelimmunoadjuvants. I have focused on the field of anti-leishmanial vaccines since 2003 when I chose my PhD dissertation. 1. Vaccination against leishmaniasis with lipid based nanoparticles containing different antigens and adjuvants. 2. Active targeting of lipid based nanoparticles containing different cytotoxic drugs to colon carcinoma or breast cancer. 1. A. R. Nikpoor, J. Tavakkol-Afshari, Z. Gholizadeh, K. Sadri, M. H. Babaei, J. Chamani, A. Badiee, S. A. Jalali, M. R. Jaafari, 2015. Nanoliposome-mediated targeting of antibodies to tumors: IVIG antibodies as a model, Int. J. Pharm., 495 (1), 162-170. 3. S. A. Moosavian, M. R. Jaafari, S. M. Taghdisi, F. Mosaffa, A. Badiee, K. Abnous, 2015. Development of RNA aptamers as molecular probes for HER2+ breast cancer study using cell-SELEX, Iran J Basic Med Sci., 18(6), 576-586. 4. S. Shariat, A. Badiee, S. A. Jalali, M. Mansourian, S. A. Mortazavi, M. R. Jaafari, 2015. Preparation and characterization of different liposomal formulations containing P5 HER2/neu-derived peptide and evaluation of their immunological responses and antitumor effects, Iran J Basic Med Sci., 18(5), 506-513. 5. A. Sahebkar, A. Badiee, M. Hatamipour, M. Ghayour-Mobarhan, M. R. Jaafari, 2015. Apolipoprotein B-100-targeted negatively charged nanoliposomes for the treatment of dyslipidemia, Colloids Surf B Biointerfaces., 129, 71-78. 6. M. Nourbakhsh, M. R. Jaafari, H. Lage, K. Abnous, F. Mosaffa, A. Badiee, J. Behravan, 2015. Nanolipoparticles-mediated MDR1 siRNA delivery reduces doxorubicin resistance in breast cancer cells and silences MDR1 expression in xenograft model of human breast cancer, Iran J Basic Med Sci., 18(4), 385-392. 7. M. Nourbakhsh, J. Behravan, H. Lage, K. Abnous, F. Mosaffa, A. Badiee, M. R. Jaafari, 2015. Nanolipoparticles-mediated MDR1 siRNA delivery: preparation, characterization and cellular uptake, Nanomedicine journal, 2(1), 39-45. 8. F. Eskandari, G. A. Talesh, M. Parooie, M. R. Jaafari, A. Khamesipour, Z. Saberi, A. Abbasi, A. Badiee, 2014. Immunoliposomes containing Soluble Leishmania Antigens (SLA) as a novel antigen delivery system in murine model of Leishmaniasis, Exp. Parasitol., 146, 78-86. 9. S. Shariat, A. Badiee, S. A. Jalali, M. Mansourian, M. Yazdani, S. A. Mortazavi, M. R. Jaafari, 2014. P5 HER2/neu-derived peptide conjugated to liposomes containing MPL adjuvant as an effective prophylactic vaccine formulation for breast cancer, Cancer Lett., 355, 54-60. 10. A. Sahebkar, A. Badiee, M. Ghayour-Mobarhan, S. R. Goldouzian, M. R. Jaafari, 2014. A simple and effective approach for the treatment of dyslipidemia using anionic nanoliposomes, Colloids Surf B Biointerfaces., 122, 645-652. 11. M. Mansourian, A. Badiee, S. A. Jalali, S. Shariat, M. Yazdani, M. Amin, M. R. Jaafari, 2014. Effective induction of anti-tumor immunity using p5 HER-2/neu derived peptide encapsulated in fusogenic DOTAP cationic liposomes co-administrated with CpG-ODN, Immunol Lett., 162 (1), 87-93. 12. S. H., Alavizadeh, A. Badiee, S. Golmohammadzadeh, M. R. Jaafari, 2014. The influence of phospholipid on the physicochemical properties and anti-tumor efficacy of liposomes encapsulating cisplatin in mice bearing C26 colon carcinoma, Int J Pharm., 473, 326-333. 13. S. Shariat, A. Badiee, M. R. Jaafari, S. A. Mortazavi, 2014. Optimization of a method to prepare liposomes containing HER2/neu- derived peptide as a vaccine delivery system for breast cancer, Iran J Pharm Res., 13, 15-25. 14. M. Amin, A. Badiee, M. R. Jaafari, 2013. Improvement of pharmacokinetic and antitumor activity of PEGylated liposomal doxorubicin by targeting with N-methylated cyclic RGD peptide in mice bearing C-26 colon carcinomas, Int J Pharm., 458, 324-333. 15. H. Firouzmand, A. Badiee, A. Khamesipour, V. H. Shargh, H. Alavizadeh, A. Abbasi, M. R. Jaafari, 2013. Induction of protection against leishmaniasis in susceptible BALB/c mice using simple DOTAP cationic nanoliposomes containing soluble Leishmania antigen (SLA), Acta Tropica, 128, 528-535. 16. O. Chavoshian, N. Biari, A. Badiee, A. Khamesipour, A. Abbasi, Z. Saberi, S. A. Jalali, M. R. Jaafari, 2013. Sphingomyelin liposomes containing soluble Leishmania major antigens induced strong Th2 immune response in BALB/c mice, Iran J Basic Med Sci., 16, 965-972. 17. H. Hoseinjani, M. R. Jaafari, A. Khamesipour, A. Abbasi, Z. Saberi, A. Badiee, 2013. Evaluation of infection course in mice induced by L. major in presence of positively charged liposomes containing CpG ODN, Nanomedicine Journal, 1, 30-40. 18. A. Badiee, V. H. Shargh, A. Khamesipour, M. R. Jaafari, 2013, Micro/nanoparticle adjuvants for antileishmanial vaccines: Present and future trends, Vaccine, 31, 735-749, Review article. 19. A. Badiee, M. R. Jaafari, A. Khamesipour, A. Samiei, D. Soroush, V. H. Shargh, M. Tavassoti Kheiri, F. Barkhordari, W. R. Mc Master, F. Mahboudi, 2012. The role of liposome size on the type of immune response induced in BALB/c mice against leishmaniasis: rgp63 as a model antigen, Experimental Parasitology, 132, 403–409. 20. E. Golali, M. R. Jaafari, A. Khamesipour, A. Abbasi, Z. Saberi, A. Badiee, 2012. Comparison of in vivo adjuvanticity of liposomal PO CpG ODN with liposomal PS CpG ODN: leishmaniasis as a model, Iranian Journal of Basic Medical Sciences, 15, 1032-1045. 21. H. Alavizadeha, A. Badiee, A. Khamesipour, S. A. Jalali, H. Firouzmand, A. Abbasi, M. R. Jaafari, 2012. Evaluation of lesion development and type of immune response generated in BALB/c mice inoculated with L. major mixed with LPD nanoparticles containing CpG ODN, Experimental Parasitology, 132, 313-319. 23. V. H. Shargh, M. R. Jaafari, A. Khamesipour, S. A. Jalali, H. Firouzmand, A. Abbasi, A. Badiee, 2012. Cationic liposomes containing soluble Leishmania antigens (SLA) plus CpG ODNs induce protection against murine model of leishmaniasis, Parasitology Research, 111, 105-114. 24. H. Hejazi, M. Tasbihi, M. R. Jaafari, A. Badiee, N. Pestechian, A. Javadi, A. Khamesipour, 2010. The role of liposomal CpG ODN on the course of L. major infection in BALB/c mice, Iranian J Parasitol, 5(1), 47-54. 25. A. Badiee, M. R. Jaafari, A. Khamesipour, A. Samiei, D. Soroush, M. T. Kheiri, F. Barkhordari, W. R. McMaster, F. Mahboudi, 2009. The role of liposome charge on immune response generated in BALB/c mice immunized with rgp63, Experimental Parasitology, 121, 362-369.